Sometimes as I visit with some of my single father friends, I get a glimpse of the challenge they facing raising children alone. But I still can't fathom the challenge single fathers with daughters face. Don't get me wrong - I absolutely adore my two daughters. They have, mostly due to the influence of their mother, become strong and capable adult women. But I shudder to think how they might have turned out if I was their lone parent. So, single dads, I hope you can feel my admiration for your taking on the challenge of raising a daughter alone. In trying to understand the keys to success in raising a daughter as a single dad, I turned to some of my friends and acquaintances who have done it well. Whether you are divorced or separated and the custodial parent, or whether you are a widowed dad, the challenges are very similar. So, given the advice from those who have walked in your shoes, here are some suggestions for tackling this important task successfully. Don't go it alone. Most of the dads I talked to spoke of the importance of a female mentor in the lives of their daughters. For some dads, a grandmother, aunt or other family member can take that role. For others, it is the mom of a friend his daughter's age. For others, the mentor may be a church youth leader, girl scout leader or athletic coach. But finding a strong and capable female role model is critical to your daughter's success in growing up. 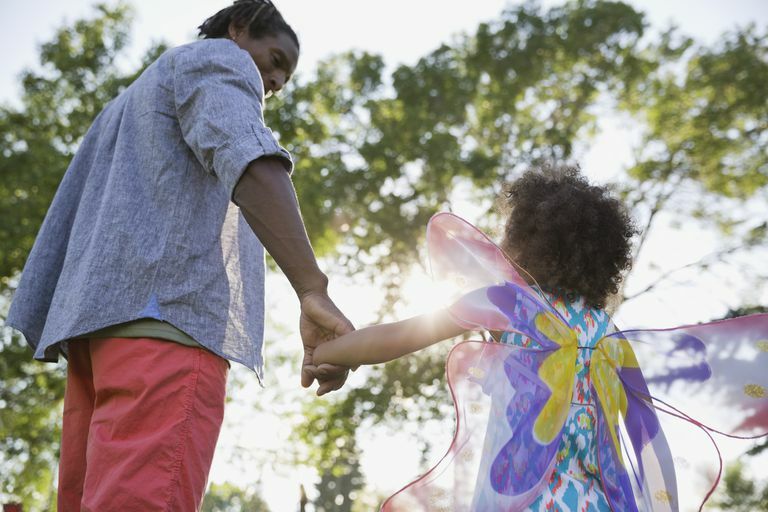 Helping your daughter connect to this mentor is a step you need to take. Communicate. Many men tend to take an "I Must Fix It" mentality in their lives and their relationships. We tend to listen long enough to identify the problem, and then we are off on the solution. Our daughters usually don't want us to fix their issues; they would rather we listen for understanding and let them learn to work our solutions. Keeping the lines of communications open requires time, patience and a willingness to make it a priority. Teach her to be a problem-solver. Sometimes our daughters need a little coaching in terms of problem-solving. Sitting with her and helping her think through an issue, develop alternatives and come to a conclusion tends to be counter-intuitive for some fathers. But it is important to teach her how, and not to lean on us for solutions. Helping her develop good problem-solving skills will serve her well throughout her life. Don't rescue or over-protect. I know from my own experience with my daughters that I had no problem at all being the white knight to ride in on my charger to rescue her. It was hard for me to learn to let my daughters struggle some with life's problems and challenges. If you overprotect, your daughter will either rebel or become dependent, and neither of those outcomes is a positive. Allow some limited risks and she will learn confidence as she succeeds. Be involved in her life. I think it is generally easier for dads to be involved with their sons' lives than with the goings on in a daughter's world. But as a single dad, your daughter needs to feel your support. Attend her athletic contests, just like you would with your sons. Take her shopping occasionally. Be around the house when she has her friends around. Make opportunities to be together, and your relationship will grow. Help her figure out guys and dating. Sometimes helping your daughter through the transition of puberty into adolescence can be a single dad's greatest emotional challenge. Successful dads suggest being up front and honest about these issues. Help her understand why you are little nervous about her developing relationships with guys or about helping her understand what is happening to her body, emotions and hormones. And recognize that some things will just be awkward. Relying on your trusted female mentor for some of these issues will be helpful. Most young men and young women who have healthy group relationships with both genders tend to be more prepared for the time when the guys and girl will begin pairing off, so create some of those group opportunities along the way. Single dads, I know it can be overwhelming to raise a daughter. But it can be done. And if you are sensitive to your daughters and invest the time into your relationship, you'll find great satisfaction in raising a great daughter. How Can You Help Your Middle School Daughter With Bullies?